Use “Manage Product Line” screen to edit the detail for any existing product line. As soon as you open this screen, all existing product lines will display, you need to select the product line which you need to update . If you know the name of the product line which you need to edit, then please type the name in search box and hit enter. Product Line ID : System generated product line ID will display here. Product Line : Product line name will display on this column. 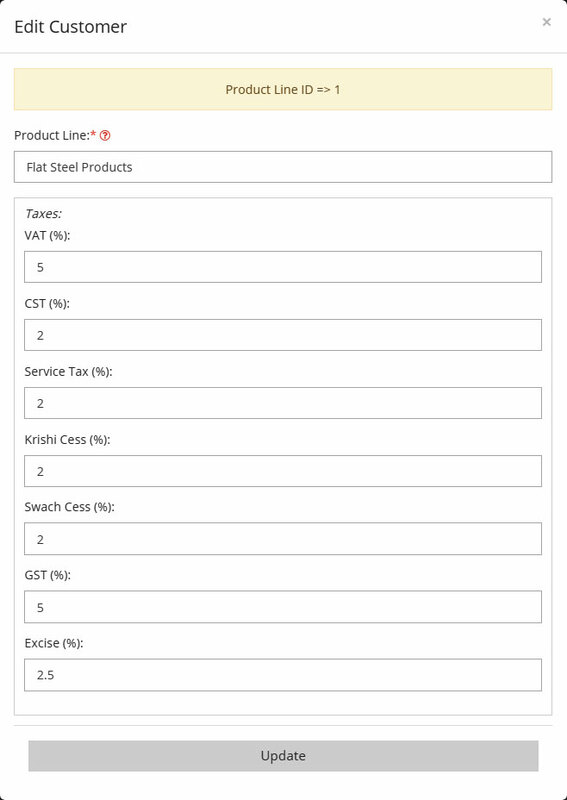 Tax : Tax information which you have entered while creating product line will appear here. Once you identify the product line record which needs to be updated, please click on Edit option. As soon as you click on edit button, Edit Product Line window will appear. Please make necessary changes there and click on Update. Apart from product line name, all other fields are editable.